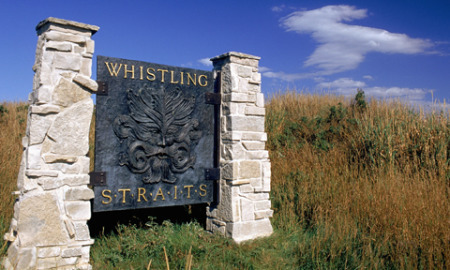 Four over par with four to play and struggling to keep his head above water, the Dubliner birdied the sixth and ninth to salvage a two over par 73 that left him three strokes behind early pace-setters Ian Poulter, KJ Choi, Mike Weir and Spanish debutant Rafael Cabrera Bello. “I started off nicely and I was well in control,” Harrington said. “I had some good birdie chances and then the game went away from me in the middle of the round. It was getting away from me on what felt like a day for scoring. Struggling to find fairways off the tee, Harrington rolled in an eight footer at the par-five sixth to stop the rot and then blasted a 355 yard drive down the 505 yard ninth, hit a wedge to 12 feet and drained the putt for a 73 that must have felt like a 65. He added: “In the middle of the round, I wasn’t playing well, I started seeing all the trouble. I was trying a bit too hard at that stage so I relaxed a bit. It doesn’t always work that way, but I got the rewards and the birdies came. Harrington’s playing partner and title favourite Phil Mickelson failed to make a birdie as he crashed to a four over par 75, dumping two shots in the Pacific Ocean along the way. But for a while it looked as though Harrington would clock up a cricket score as the made mistake after mistake. 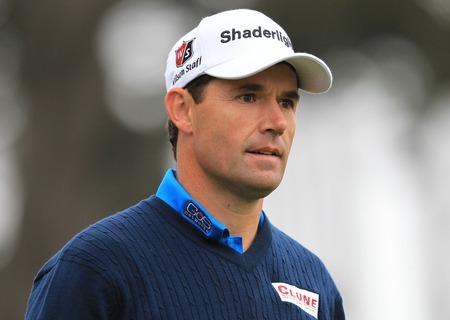 Struggling to find fairways off the tee, Harrington made the turn in two over par and was forced to fight tooth and claw not to drop further off the pace on the back nine. He bogeyed the par-four second after a wild pull and did well to drop just one shot at the third, his 12th, where he hit a poor second, failed to find the green in three and wriggled in a 10 footer for bogey. He parred the next two holes and got up and down from greenside sand at the par-five sixth, holing a six footer for birdie to get back to three over. But he finished strongly, shaving the hole with a 10 foot chance at the eighth before knocking in a 12 footer for a rare birdie at the treacherous ninth after a brave drive close to the Cliffs of Dooms. The day could not have started more brightly for Ireland’s three time major champion as he set off with Mickelson and US PGA champion YE Yang (73) shortly after 8 am. Starting on the tough, 495th yard 10th, he hit a perfect drive found the green with a mid-iron and two putted comfortably for par. He was soon off and running after a brilliant birdie at the 390 yard 11th where his nine iron approach cleared the front bunker by a few yards, pitched on the downslope and spun to a halt just three feet from the hole. He stroked home the putt to get into red figures but Pebble Beach slowly began to get on top of the Dubliner and Masters champion Mickelson. 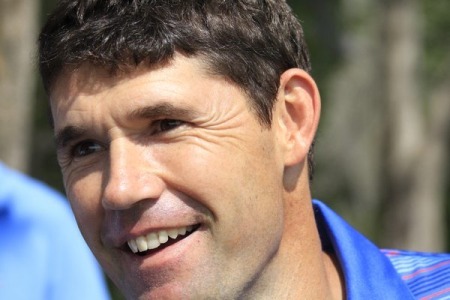 After two putt pars at the 12th and 13th, Harrington looked certain to drop a shot at the 580 yard par-five 14th when he tangled with the left rough three times before firing a 50 yard wedge to six inches to save par. Another bad drive led to a bogey at the 15th and he bogeyed the 16th as well, fluffing a chip from behind the green after a bizarre incident. Playing the nearby third, American Jon Curran hit a big hook off the tee and his ball landed on the fringe of the 16th green and rolled through Harrington’s eyeline as the Dubliner was preparing to chip. Instead of backing off, Harrington continued with his practice swings and stubbed his recovery, moving it only two feet. Mickelson also dropped his first shot of the day there having been forced to chip out sideways from the fringe of a fairway bunker. The left hander then sliced his tee shot onto the rocks at the 17th but got up and down for bogey after a drop. But Harrington also bogeyed, when he failed to get up and down from the front bunker. Ireland’s world No 14 did well to par the 18th, holing a 10 footer for his five after a deft recovery from the deep fescues on top of the front bunker. But Mickelson went for the glory shot after driving behind the two pines in the fairway, slicing his three wood approach into the Pacific Ocean to end up with a six.